An "ASMRtist" prepares for a crunchy new video. A woman, visible only from the mouth down, sits behind a raw, oozing honeycomb on a small wooden table. She slowly rolls up her sleeves. She licks her lips. Grinning, she reaches forward, shows off the honeycomb to the camera, and proceeds to very audibly devour it. This YouTube video has over 13 million views. Autonomous sensory meridian response, or ASMR, occurs when a person experiences any sort of “oddly satisfying” sights or sounds, resulting in a pleasant tingling sensation around the neck or back. A huge online community of gratification-seekers exists around this phenomenon, all in the name of relaxation. Senior Maya Noonan was first introduced to food ASMR, videos of people chowing down in front of very sensitive microphones to create an immersive experience of eating. It was perplexing, she said. Not everyone has the same ASMR “triggers,” and some don’t experience the sensation at all. That’s why stars on YouTube, called “ASMRtists,” have created such a wide variety of content. ASMR videos come in many forms: whisperings of encouragement, scratching or tapping, towel folding and even chewing. While it may not be entirely understood, scientists have ideas about why ASMR happens. According to Scientific American, the sensations associated with ASMR are likely similar to the way good music causes chills. That feeling, called “frisson,” is the result of dopamine release in the brain. 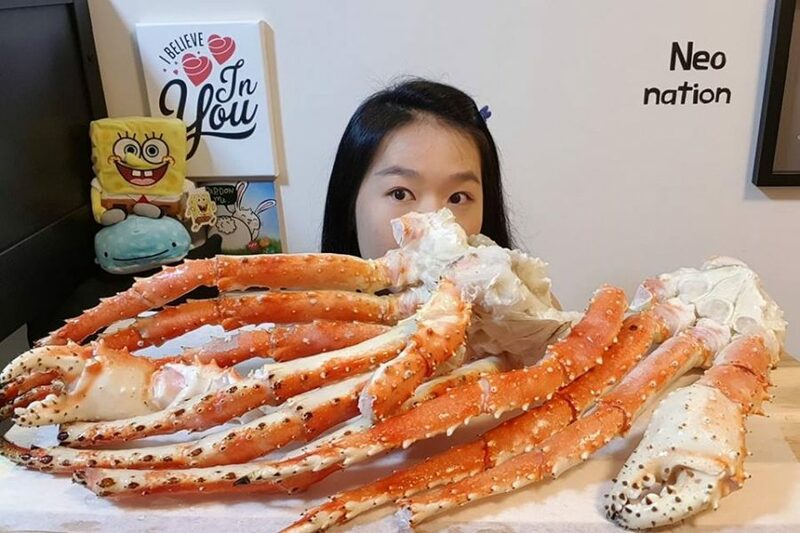 Many popular food ASMR videos show the consumption of exotic and strange food, like honeycombs, aloe vera or even live octopus. But that kind of thing unnerves Noonan. She prefers soap-cutting ASMR, in which colorful soap bars are systematically mutilated on camera with a utility knife. And while she has never experienced any spine-tingling, Noonan said she still finds those videos strangely fulfilling. “I am unable to obtain a box cutter so I live vicariously through others,” she said.